At Tom's of Maine that means we use authentic natural ingredients. We use zinc citrate sourced from zinc - a naturally occurring mineral and xylitol, a natural ingredient derived from birch trees or corn. Plus, natural flavoring for a taste that will make you look forward to brushing! Fluoride-free formula: Some people do not want fluoride in their toothpaste. 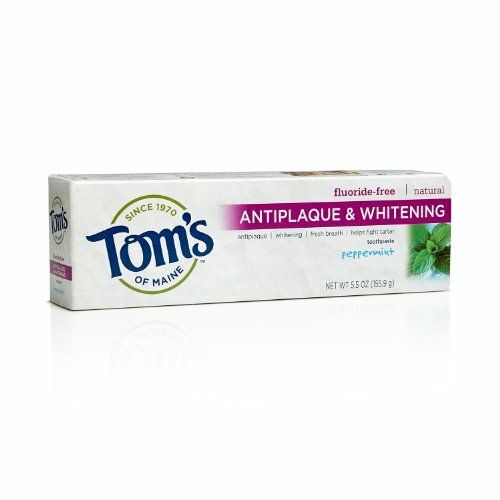 We produce this toothpaste without fluoride because we respect our customers' diverse needs and interests. If you have any questions about this product by Tom's of Maine, contact us by completing and submitting the form below. If you are looking for a specif part number, please include it with your message.